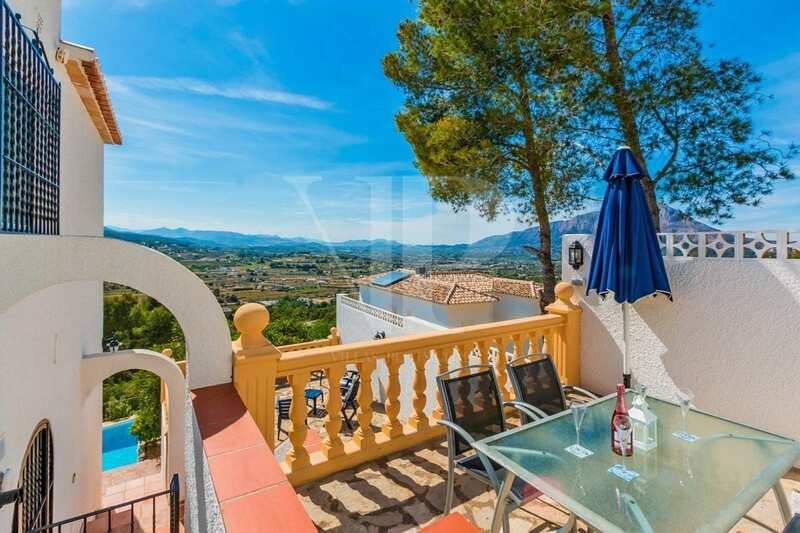 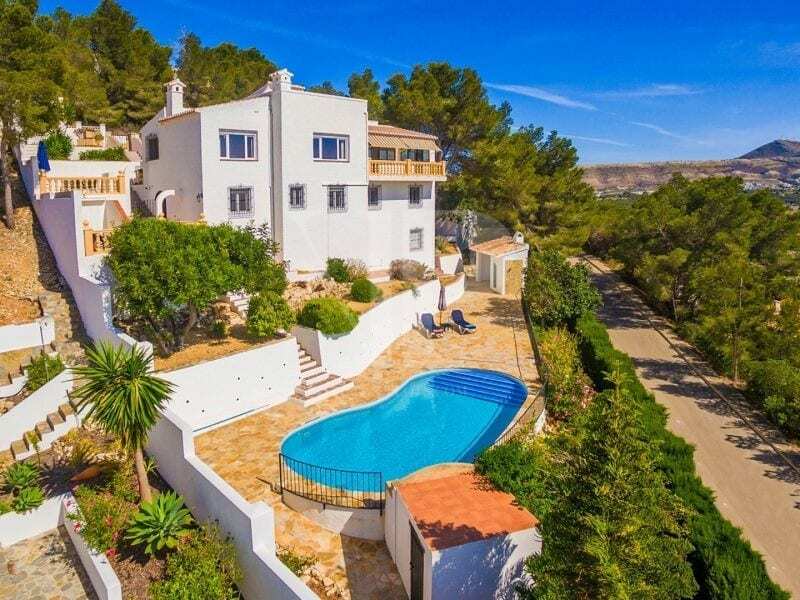 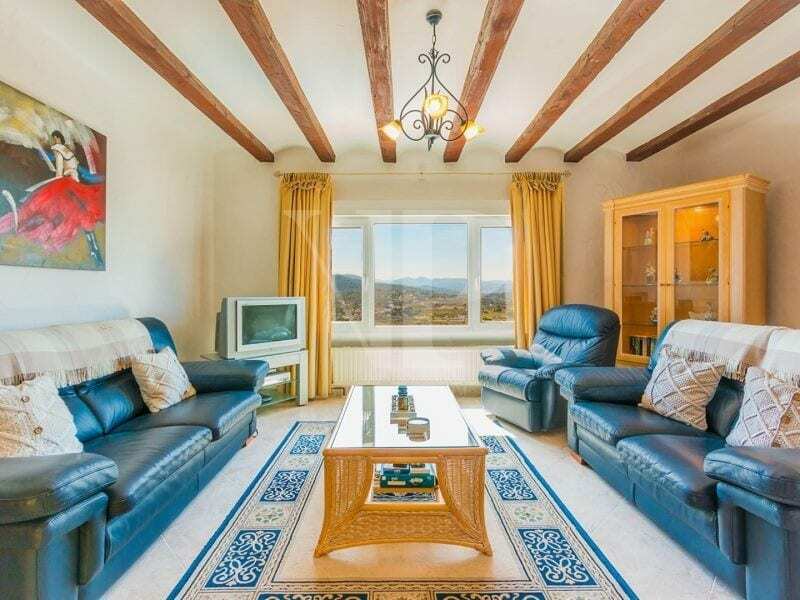 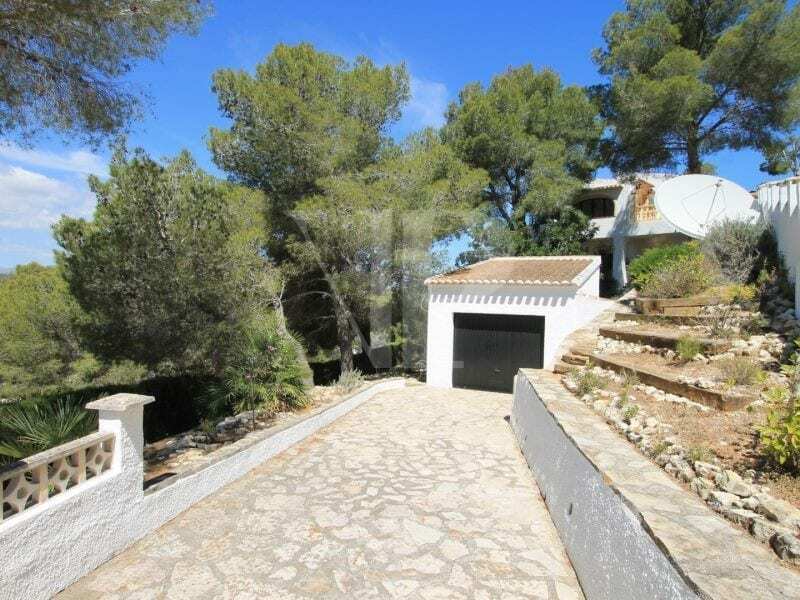 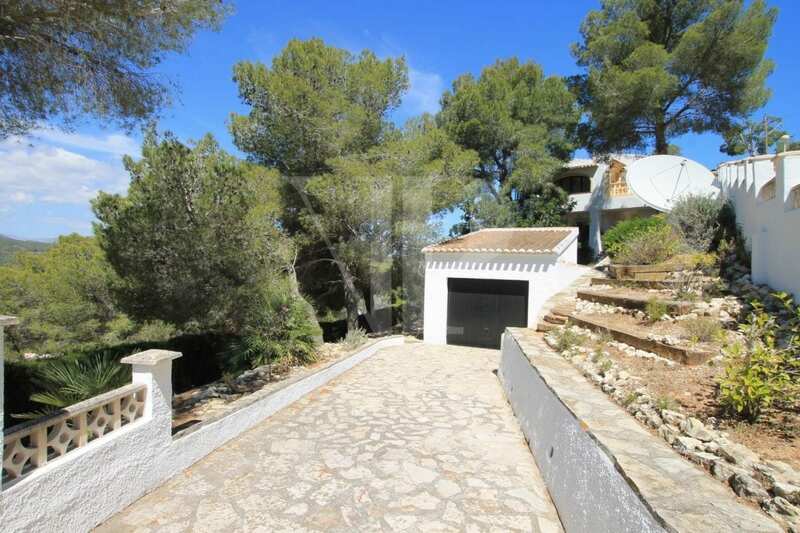 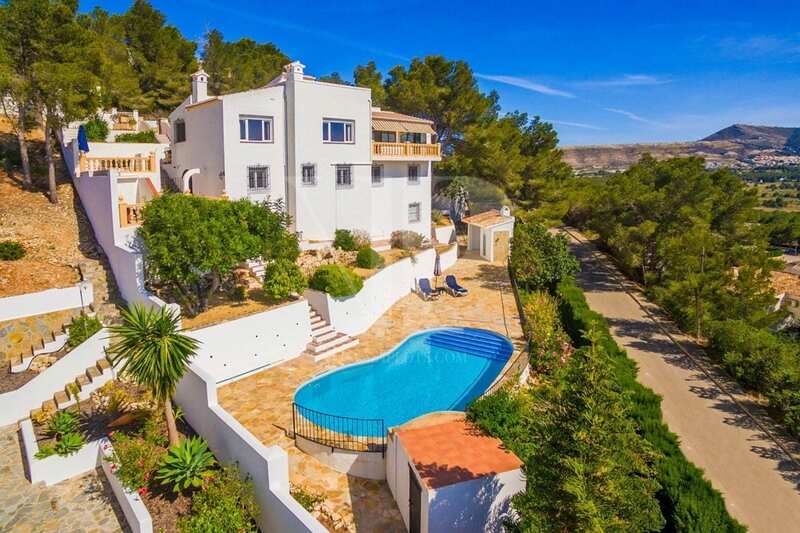 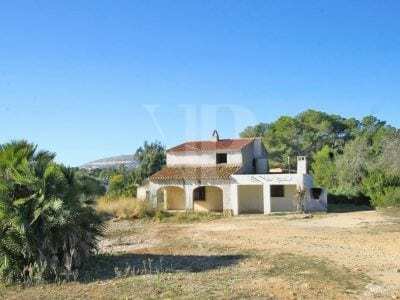 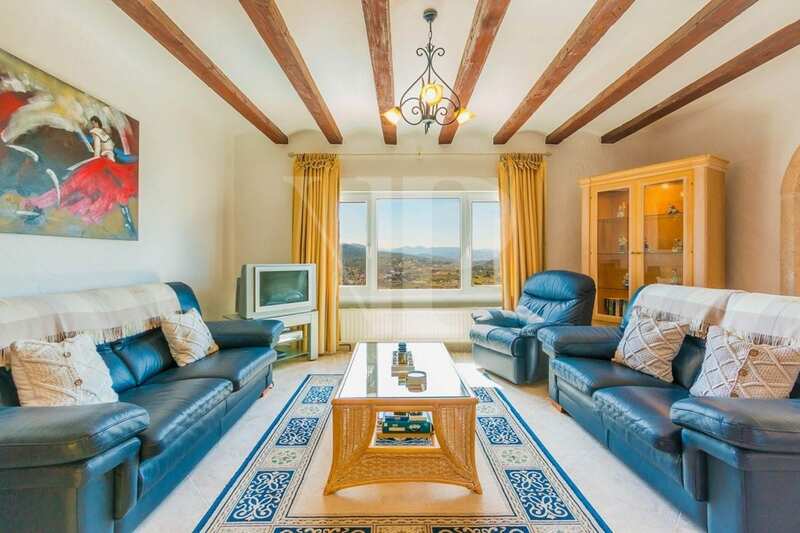 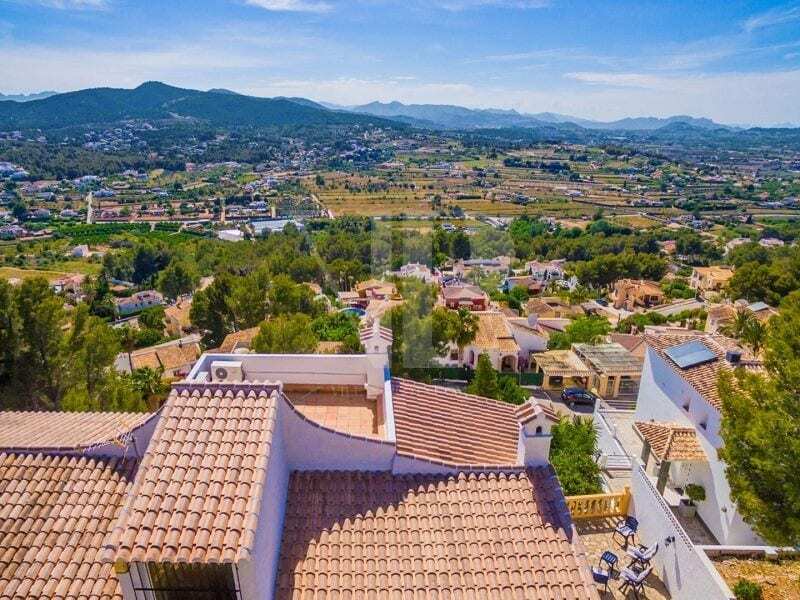 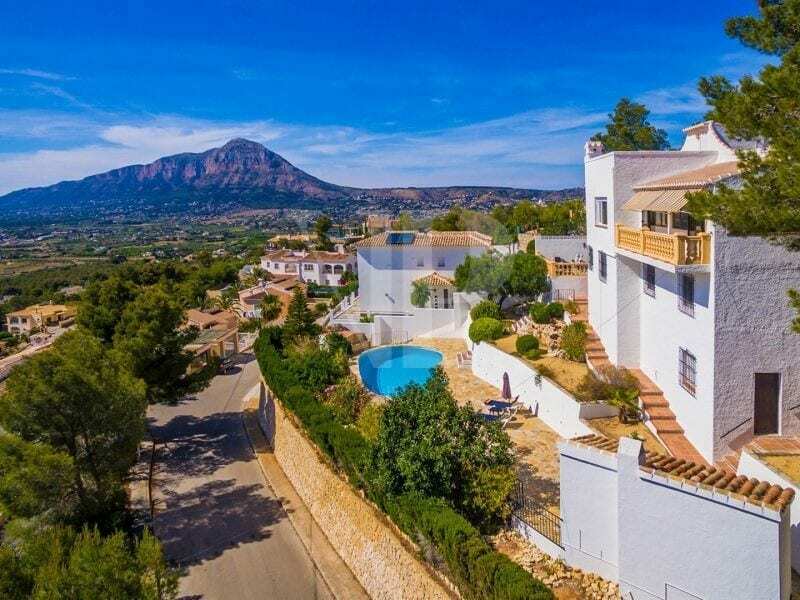 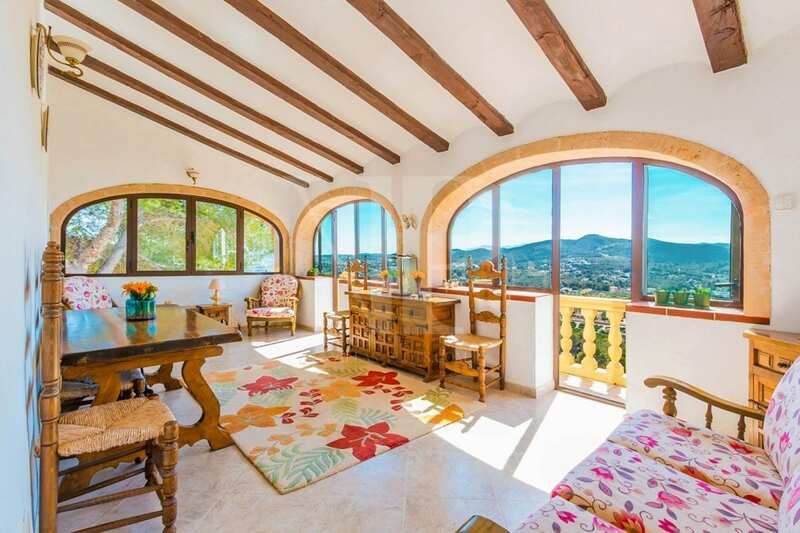 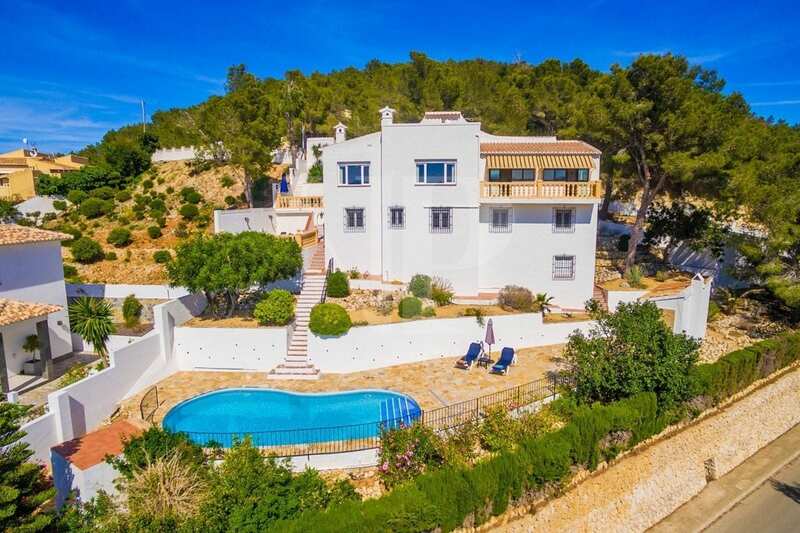 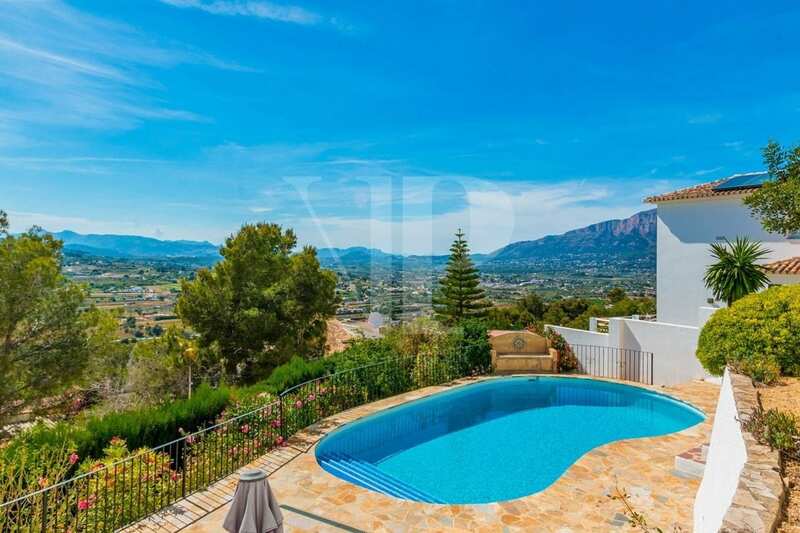 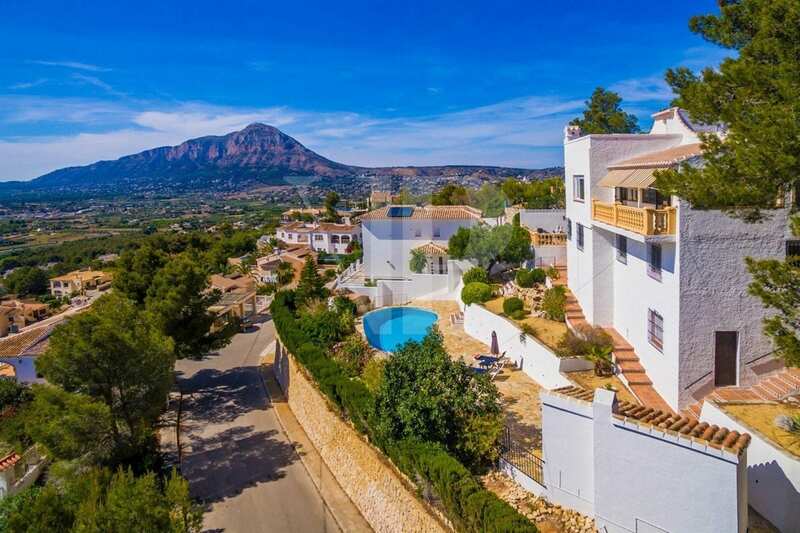 For Sale: This 4 double bedroom villa sits on a corner plot on the upper slopes of the established Urbanization El Rafalet, close to both Javea, its golf course, and Benitachell. 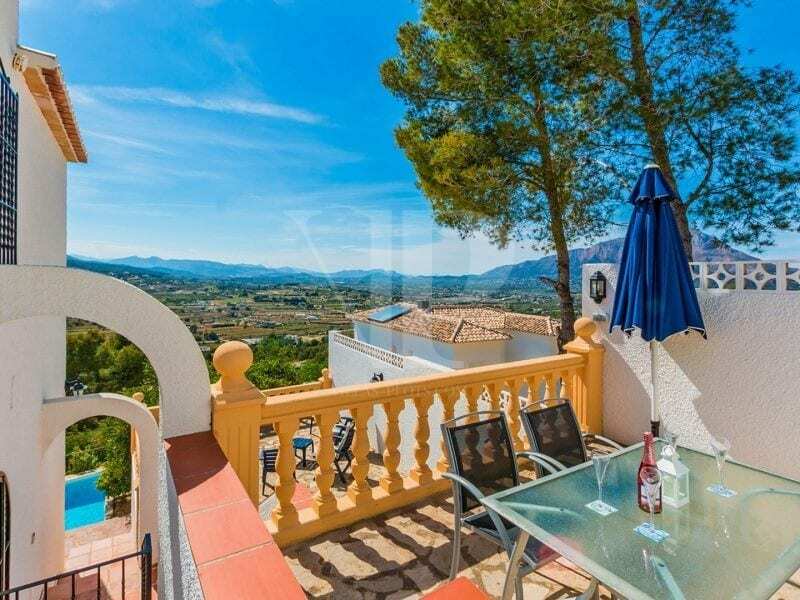 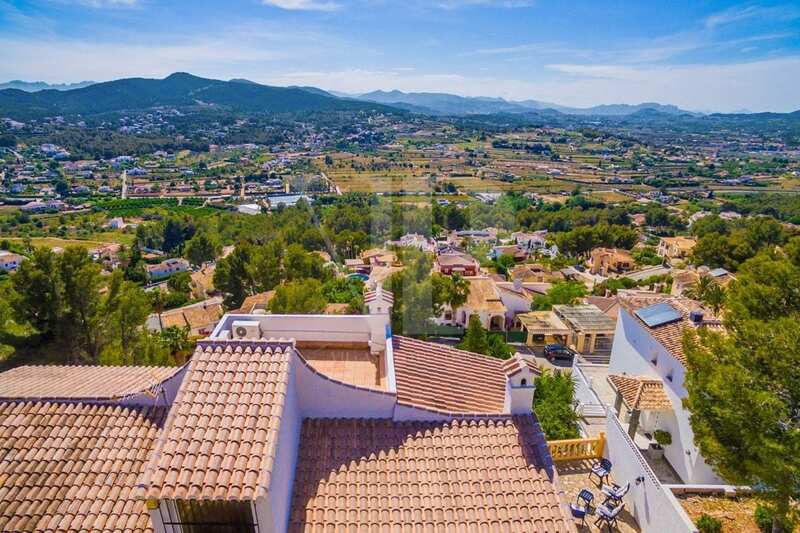 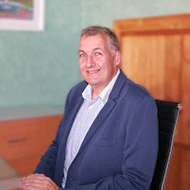 Enjoying spectacular views from most parts of the villa, the main living area and one bedroom and bathroom is accessed from street level and one of the parking areas. 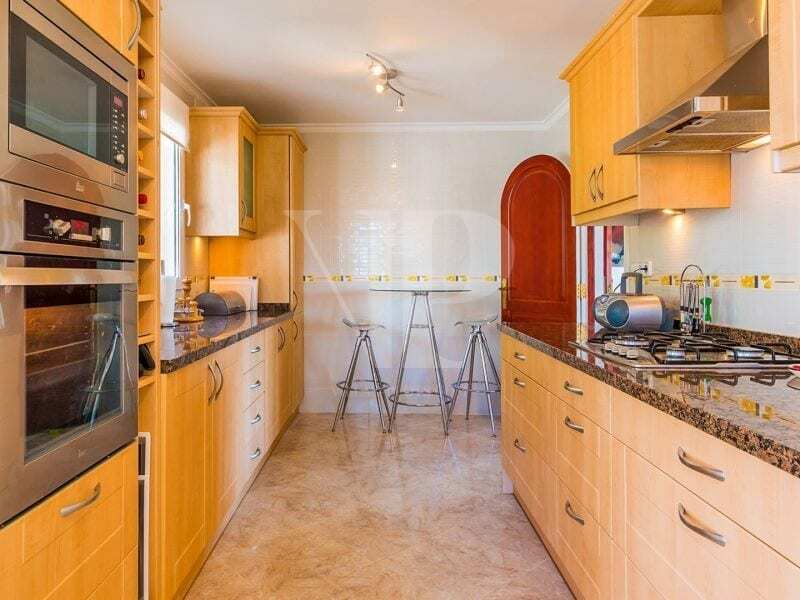 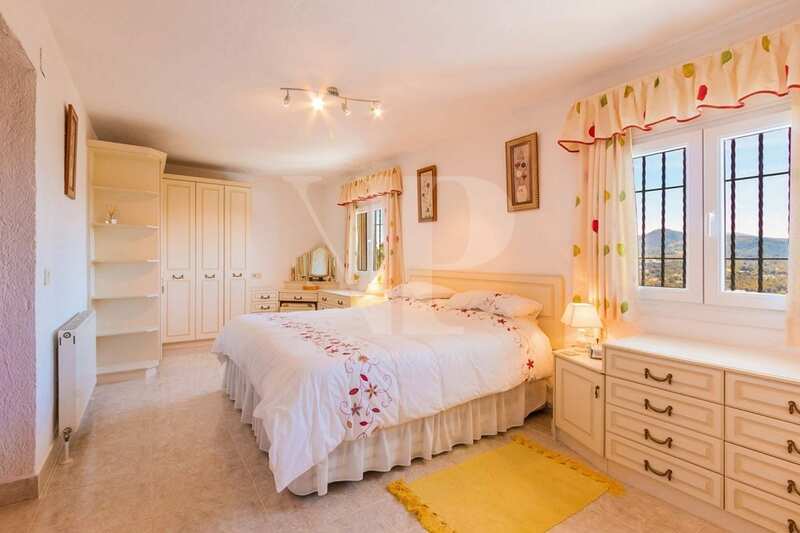 The remaining 3 bedrooms are located on the lower floor where there is also access from another driveway and garage. 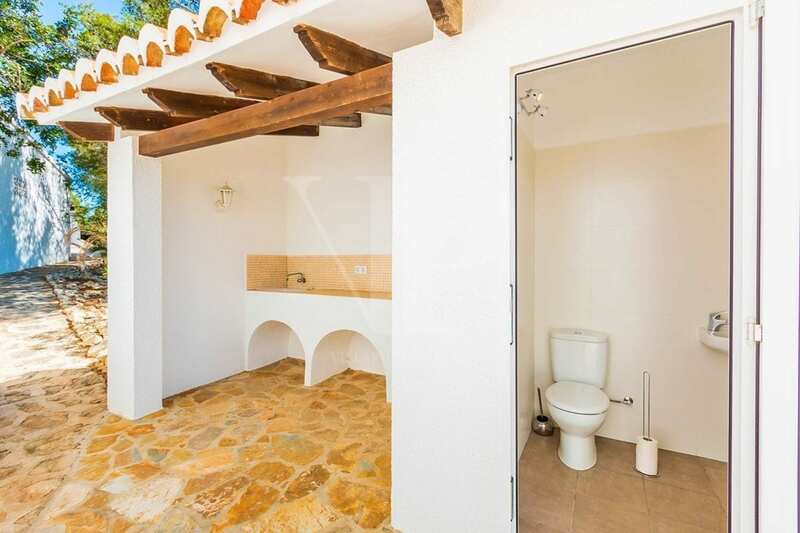 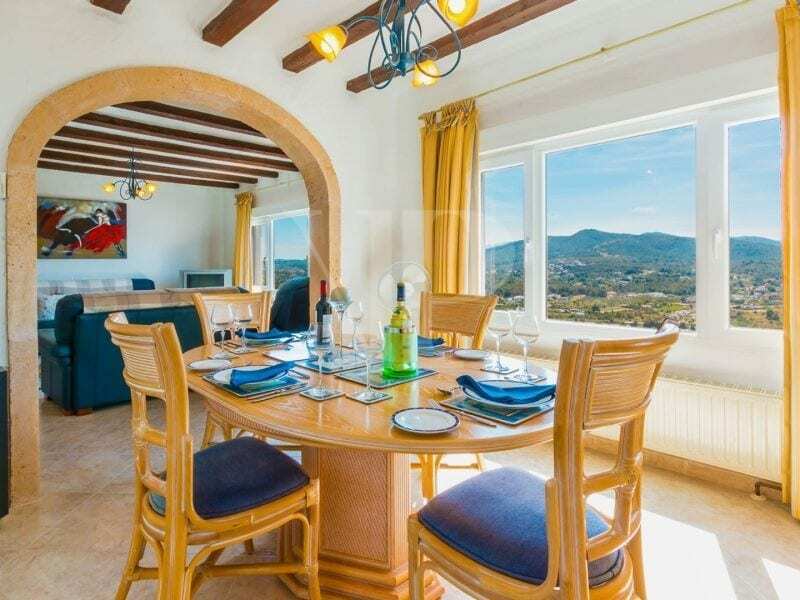 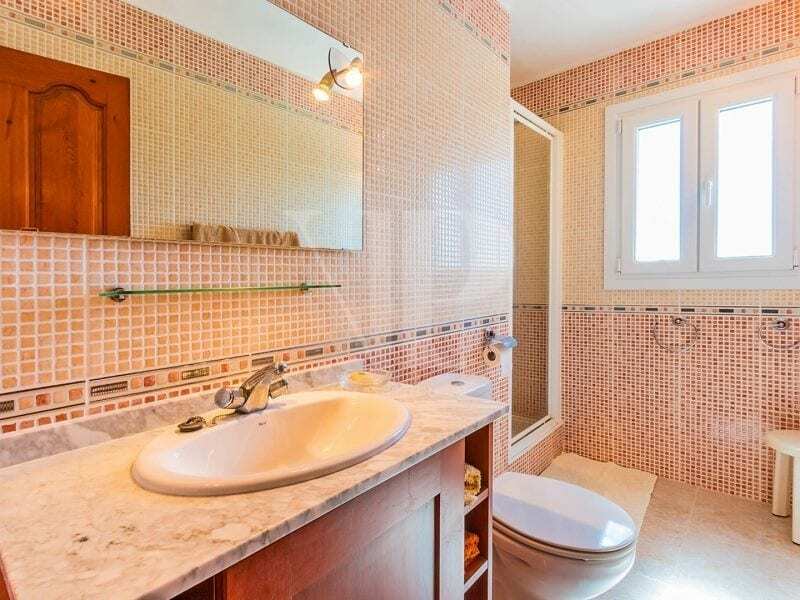 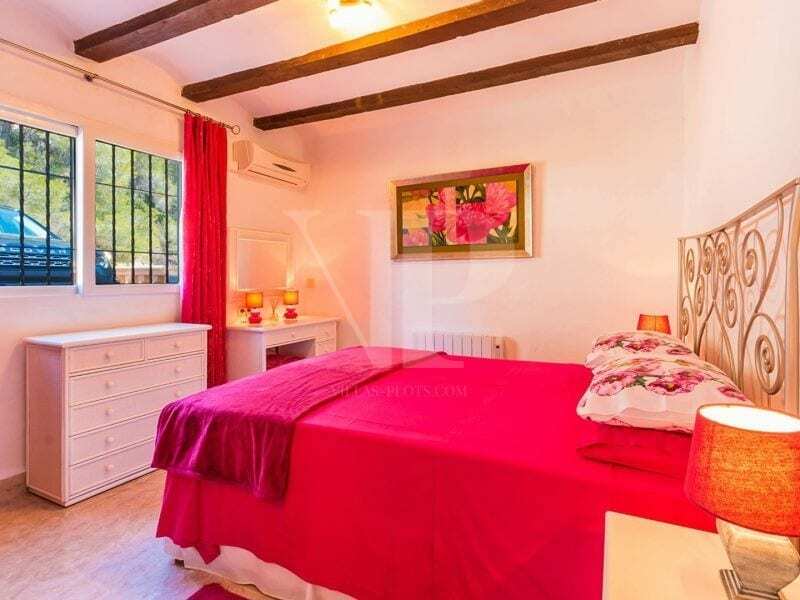 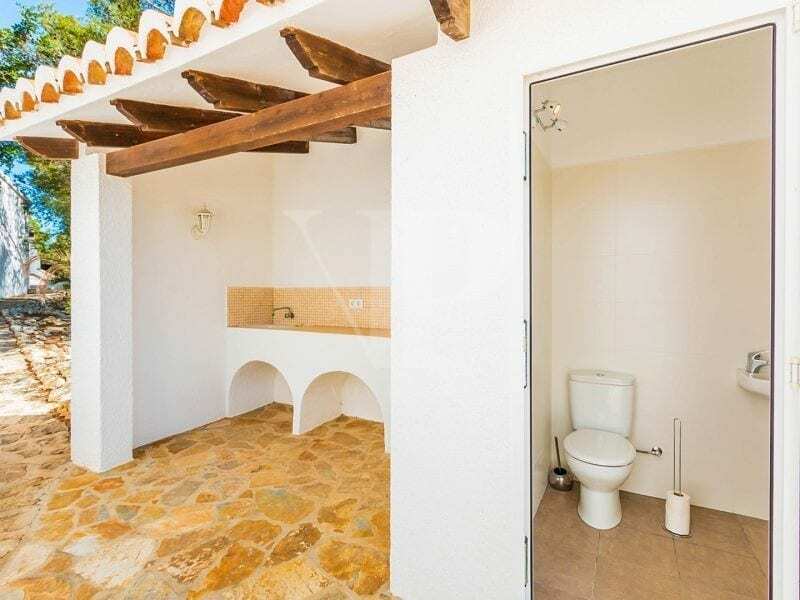 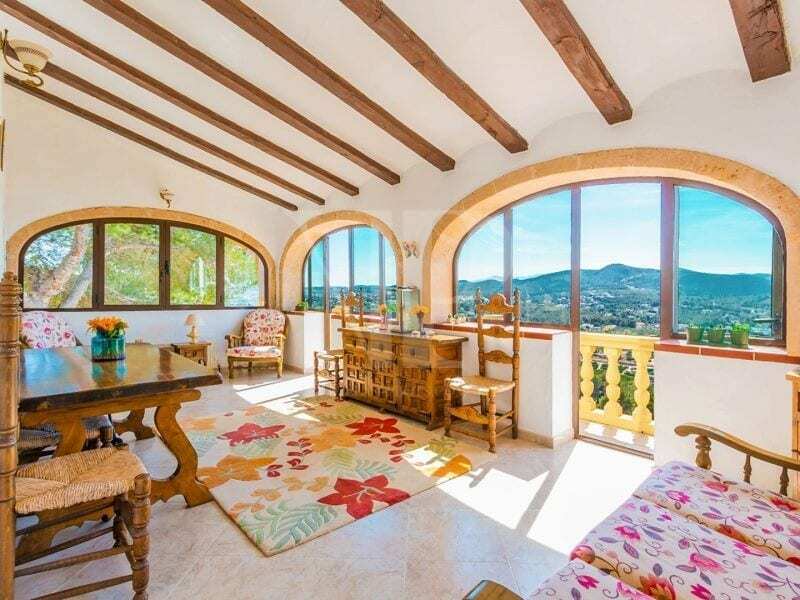 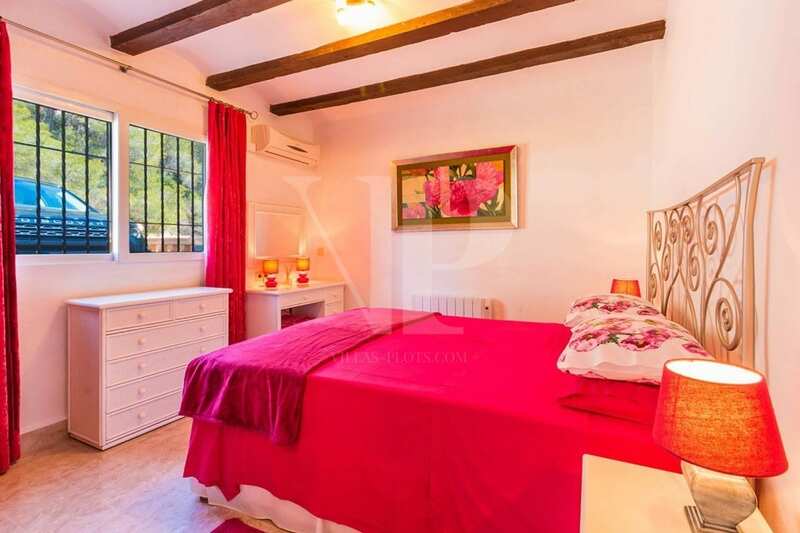 Built in the early 1990’s with just two owners since new, the villa has been extensively renovated since, with new flooring, the kitchen, the windows and a bathroom all being updated. 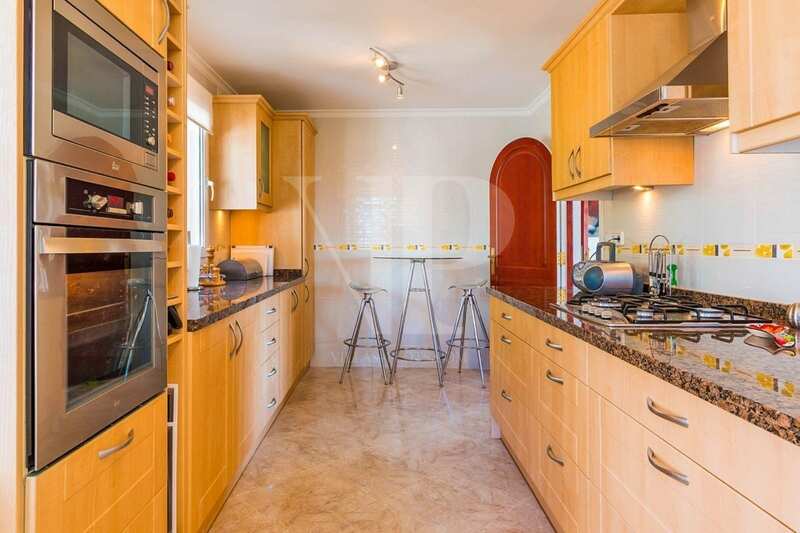 The property features barreled and beamed ceilings plus other traditional features whilst also remaining bright. 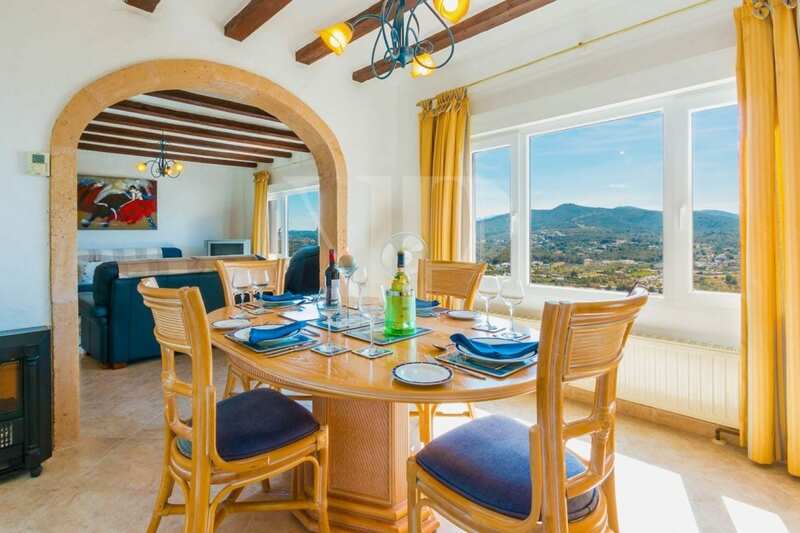 The lounge and dining room lead from the kitchen which also has its own access, while there is a generous size covered terrace where one can enjoy the beautiful sunset and views across to the Montgo. 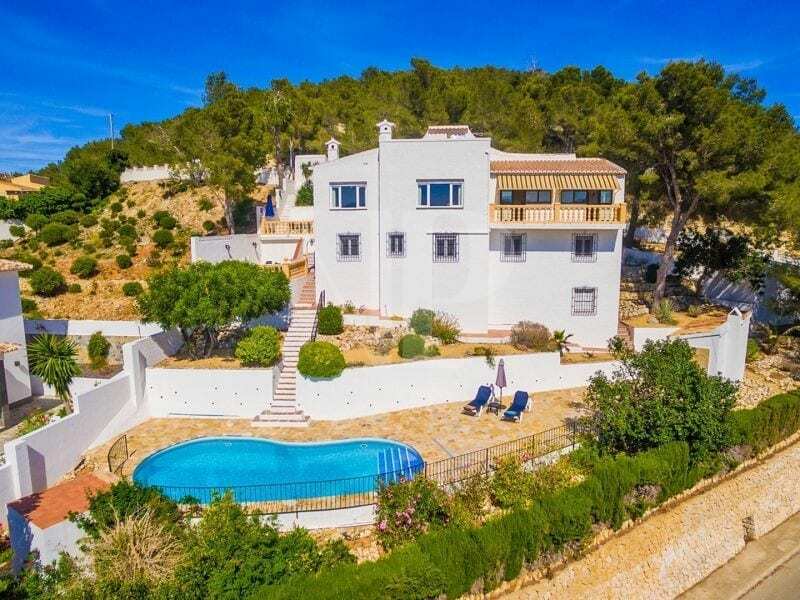 The villa is presented in very good condition and offers great value for money, ideal for a family as either holiday home or permanent residence.